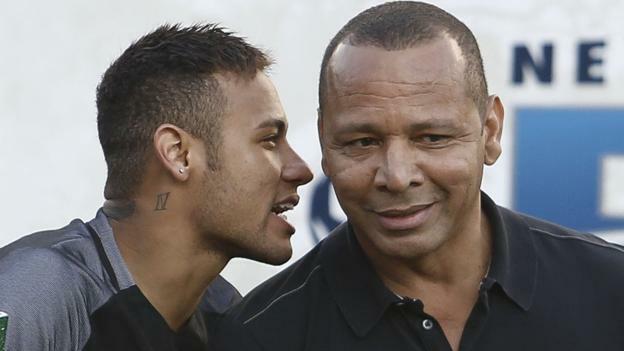 Neymar’s father has dismissed reports linking his son with an exit from Paris Saint-Germain in the summer. The Mirror claims that Neymar Sr, who also doubles as his son’s representative insists he is presently working on extending the Selecao captain’s stay with the French champions. Reacting to a question concerning his son’s link with Real Madrid and Barcelona during an interview on Brazil’s news channel UOL Esporte, Neymar Sr, revealed there is hardly any transfer season Neymar is not linked with a top club. His name has been speculated on since he was 17, since he made his professional debut. Neymar has only had two transfers in his life, but we’ve had speculation for 10 years. “And we didn’t manage to eat many of the things they had there. The food in the hotel was always the same things: cured ham. However, Brazilian businessman Wagner Ribeiro took them to Robinho’s house in Madrid, who at that time was playing for the Los Blancos where they had enough rice and beans.